Showing results for tags 'ranked poni'. So apparently WGNA is releasing 9.19 TONIGHT, and with it come a new and exciting way to make your already OP tanks more broken! http://forum.worldoftanks.com/index.php?/topic/545030-world-of-tanks-update-919-announcement-and-server-downtime/page__p__11022378#entry11022378 All of the prizing tiers and rewards are listed on the main site. https://worldoftanks.com/en/news/general-news/update-919-improved-equipment-and-directives/ So basically, let's talk about the big news. What are your thoughts on the impact of the game mode on pubs, CW, SH, etc? What will be the best equipment piece to buy, and what tank will you put it on? How much will the pubbies rage about unicums getting more unfair benefits? 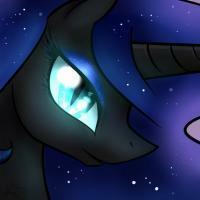 Why is Luna best princess?